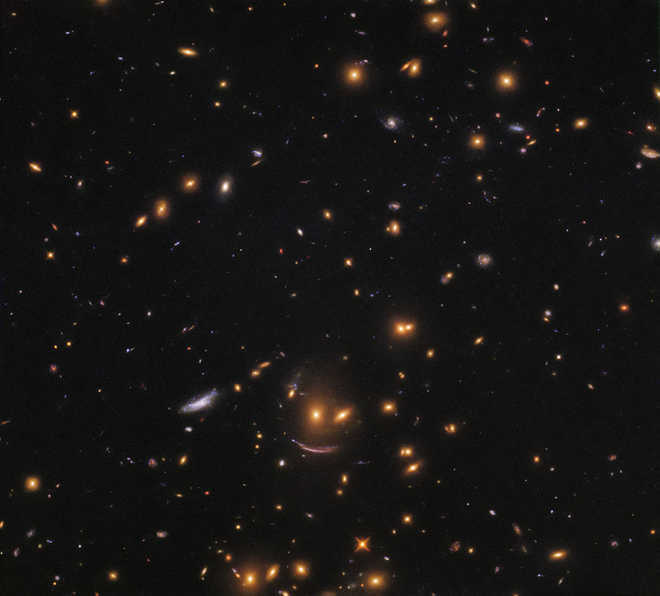 NASA's Hubble Space Telescope has captured a formation of galaxies that looks like a smiling face, said the US space agency. On Saturday, it posted an image on its Instagram handle that showed two yellow orbs above an arc of light -- painting a smiley face in space. "The lower, arc-shaped galaxy has the characteristic shape of a galaxy that has been gravitationally lensed -- its light has passed near a massive object en route to us, causing it to become distorted and stretched out of shape," said NASA.